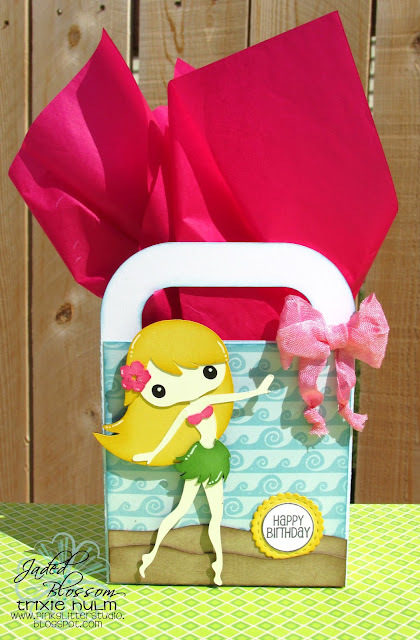 Trixie here and today I have a little gift bag to share with you. I used the sentiment from the Birthday Candies and added it to the Candy Charms and Banner Dies. 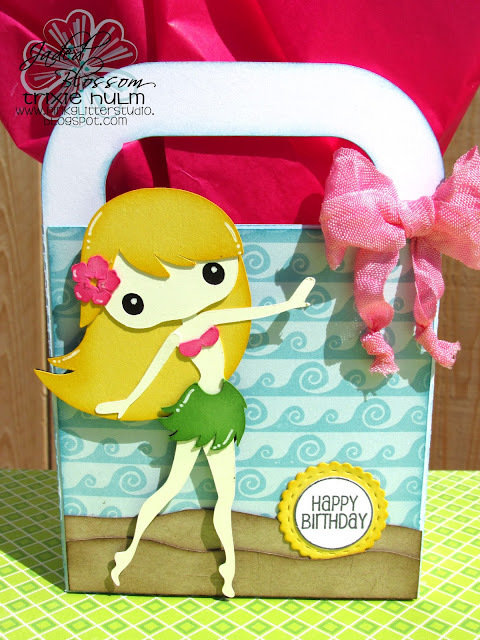 The adorable little girl is from the Luau file and the bag is from the Fish Handled Bag Container file both from SVG Cutting Files. Here is a close up of the bag. I added a Panther Pink Rumple Ribbon bow from Lovebug Creations. Don't forget Jaded Blossom has a new Challenge this month. super cute. my daughter would love this bag!